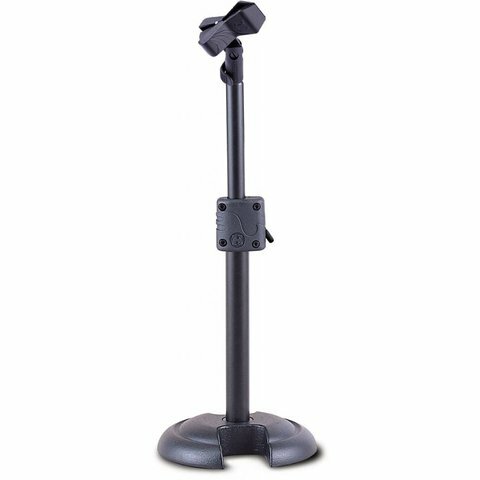 The Hercules MS100B H-base Low Profile Mic stand features and EZ Mic Clip, EZ Height adjustment lever, and the Hercules "H" Base. This stand is perfect for table top, kick drum, or any other low profile application. - Height adjusts from 11" to 17.5". - Base radius of 3.1"